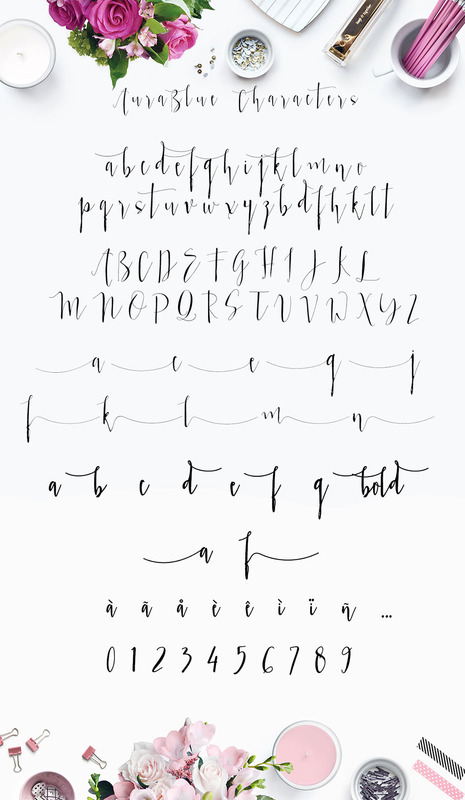 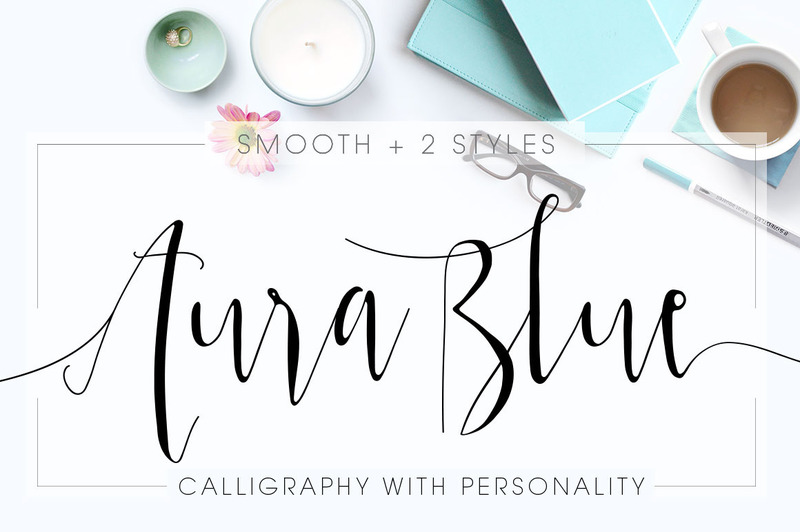 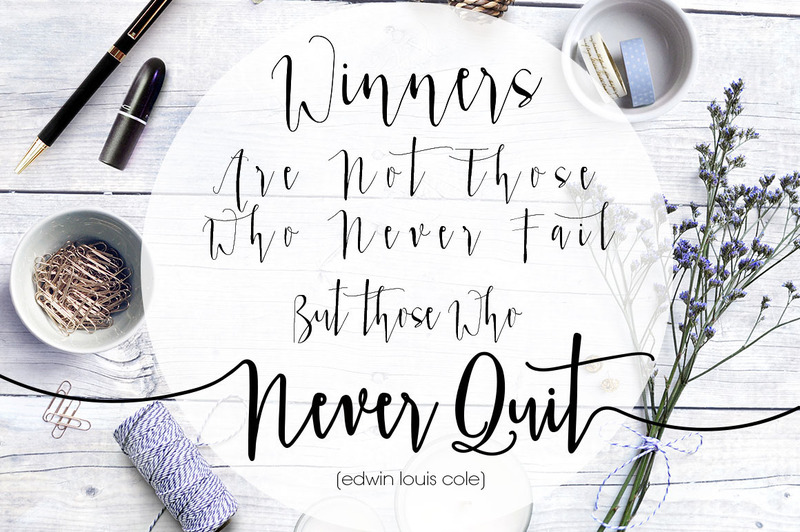 Aura Blue, Modern and Stylish Calligraphy font. 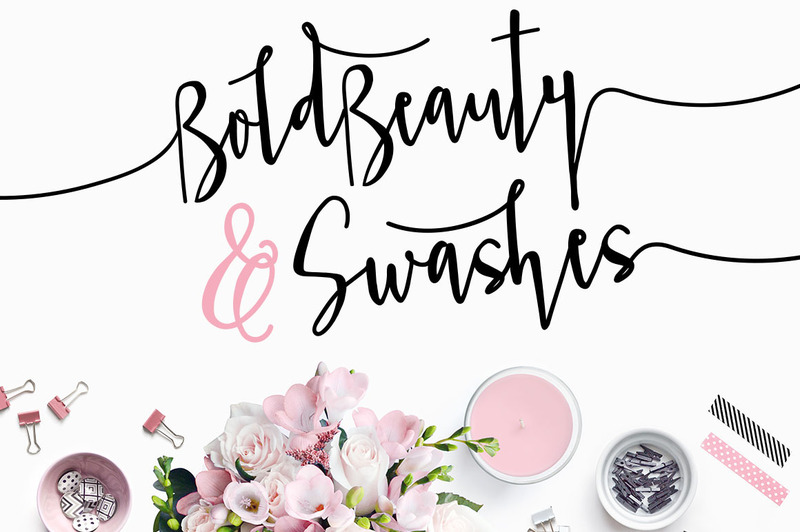 Best for modern feminine branding / logo. 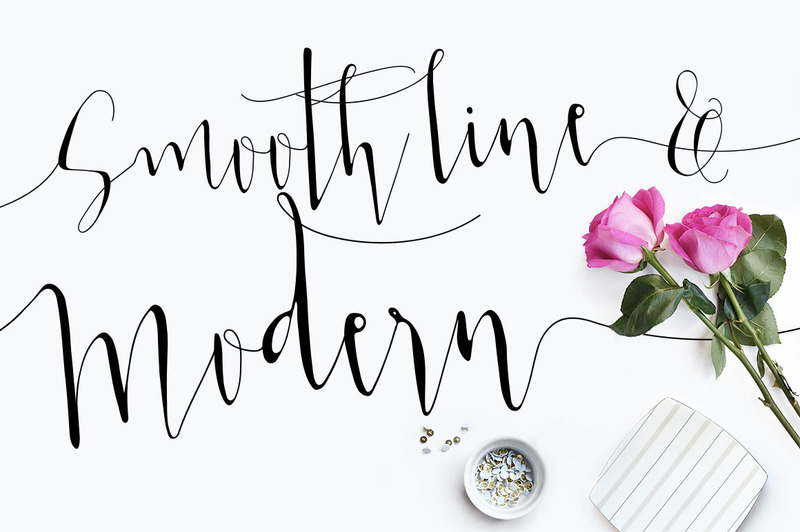 Wedding, Invitation, and modern lettering needs.